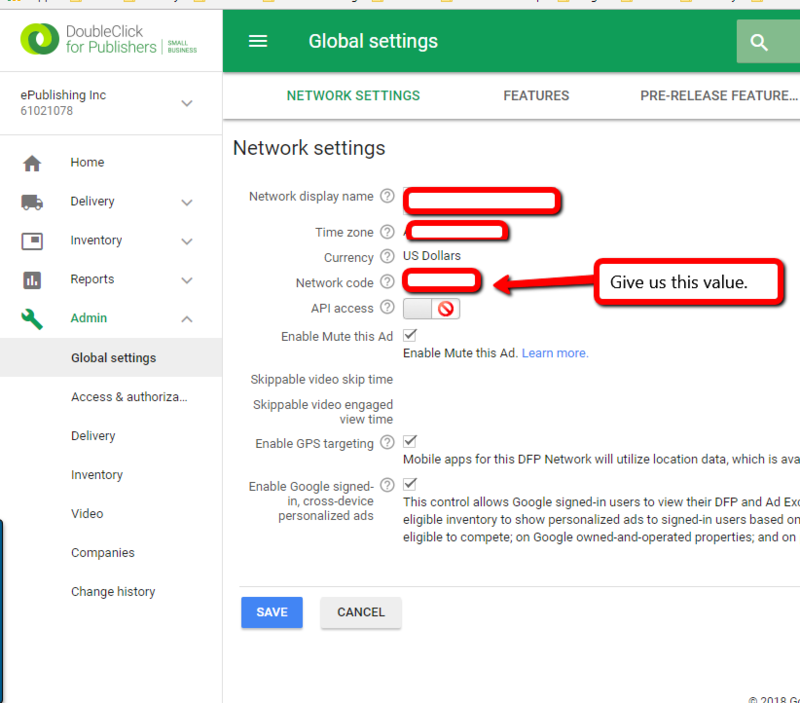 ePublishing Knowledge BaseePublishing Knowledge BaseePublishing Knowledge Base AdvertisingHow do I setup ads in Google DoubleClick (DFP) for Publishers? 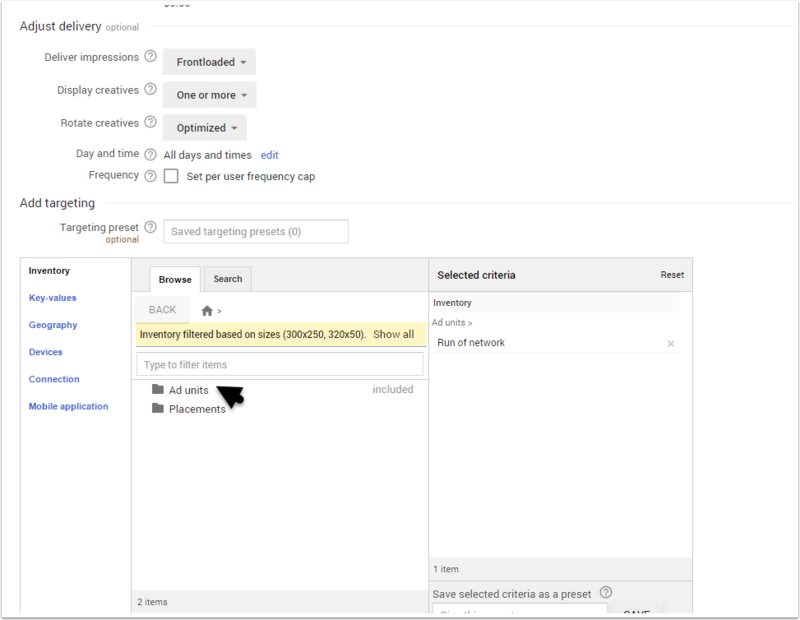 This article is a high-level, basic overview of how to setup ads in DFP, including fallback sizes for responsive ads. If you still need assistance after walking through the steps in this article, we recommend you look at the resources here. In addition, we recommend utilizing a DFP consultant. A list of consultants is here: https://support.google.com/dfp_premium/answer/3247135?hl=en. Get more resources on advertising in the ePublishing Knowledge Base. If you are really stuck with DFP, we strongly recommend working with a consultant who specializes in DFP. Login to your DFP account. 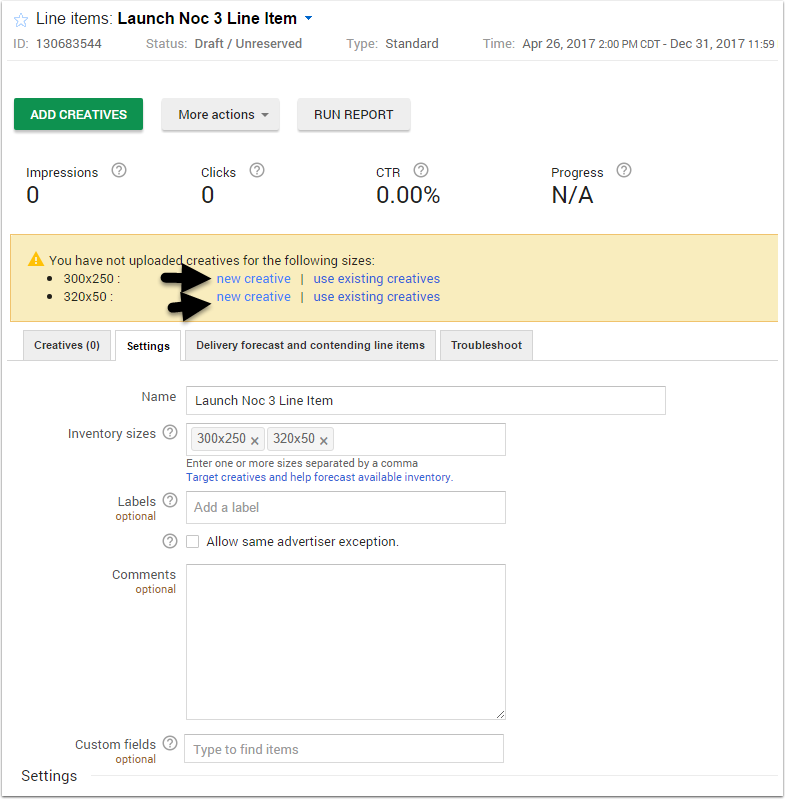 Click Inventory to set up a new ad unit. 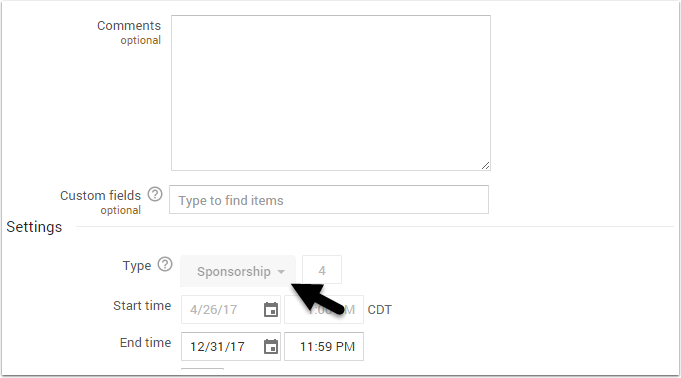 Fill out the new ad unit form with the required information. 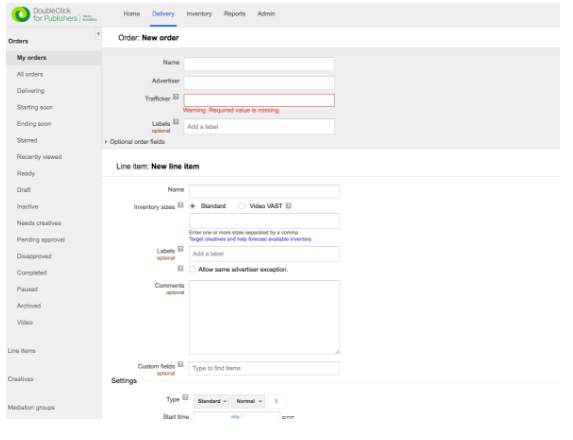 Ensure that sizes are selected for each desired fallback size for the ad unit. Fallback sizes enable your ads to render responsively. Your PM can help you idenitfy the appropriate fallback sizes. 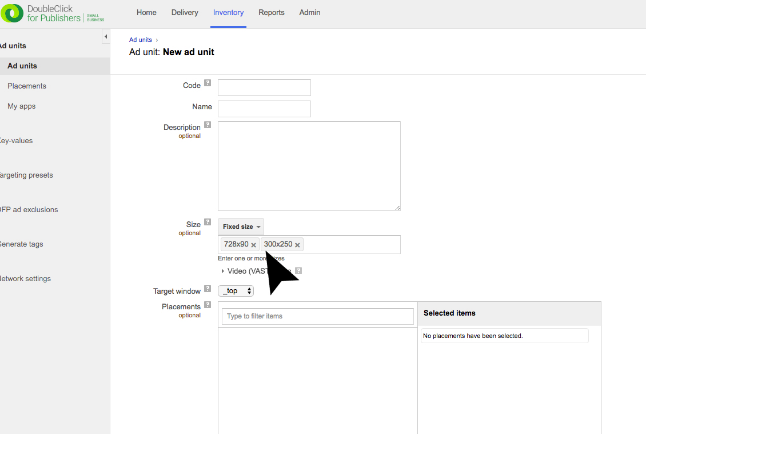 For the target window, select blank so that when a user clicks the ad, it opens in a new window. 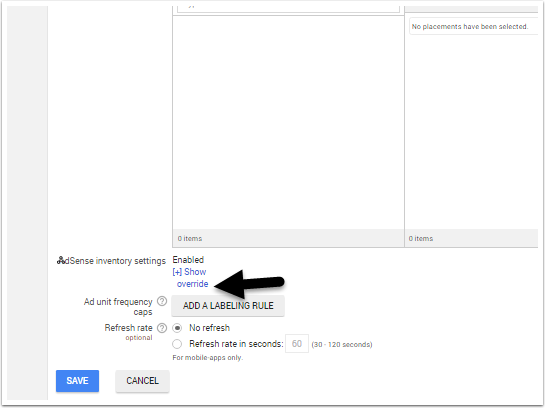 If you do not want ads from AdSense, then click override for AdSense inventory settings. Uncheck the maximize revenue box. Click save. Once the ad unit has been set up, take note of the unit name. To setup the ad units on your site, ePublishing needs to know the ad unit names and sizes as well as the DFP ID. Click the delivery tab to set up an ad order. To run a new ad campaign through DFP, you'll first need to create a new order. Click Delivery. 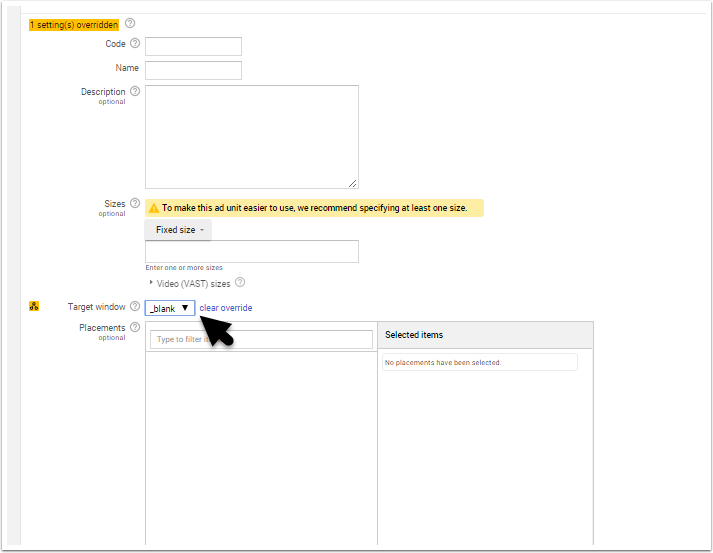 Fill out the order and line item information. Ensure that the fallback sizes are included in the line item. Fallback sizes enable your ads to render responsively. Your PM can help you idenitfy the appropriate fallback sizes. For the type, sponsorship allows you to setup a percentage based rendering option. Another type is standard with an impression based rendering option. Associate an ad unit with the line item. 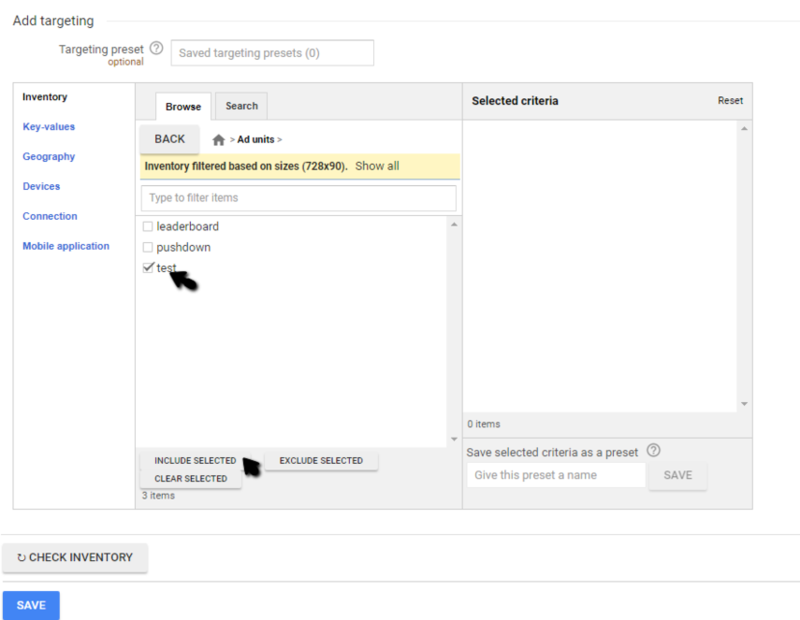 At the bottom of the line item form, there is the targeting section. Click on Ad units. Select the unit you want for the line item, click the box to the left, and then click include selected. Assign a creative for each size. A creative will need to be loaded for each size chosen. DFP will give you warnings if all of the creatives are not loaded. Click on the warning message or navigate to the creative tab to load the creatives. Click the Delivery tab and than All orders. Click on the order you'd like to approve. The status of the order will be Pending approval. Provide your PM with the DFP Network code. After logging in, you can see your DFP ID by doing the following. Go to Settings > Global Settings. Then it is the value for Network code. See screenshot.